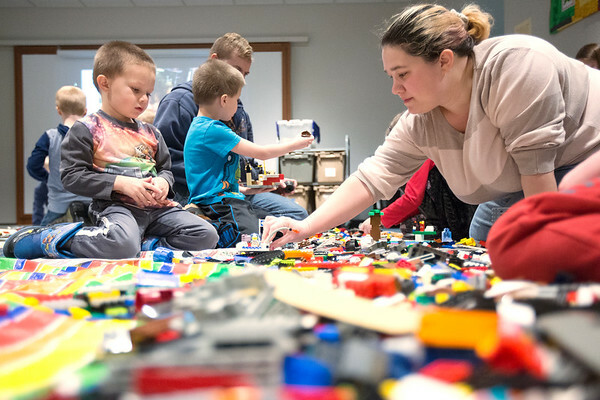 Hunter Peters, left, builds with Legos with his mom, Tara Peters, right, during Let's Build and Create at Woodmere Library on Wednesday. The library supplies Legos and other building games for kids to use. The creations are kept on display for a week.